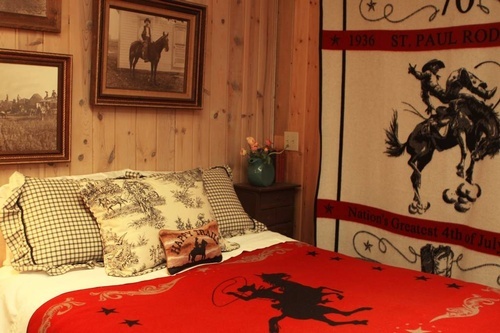 A Cowboy's Riverfront Retreat is a studio space & welcomes up to 6 guests; 1 King & 1 Queen w privacy dividers & Q futon. 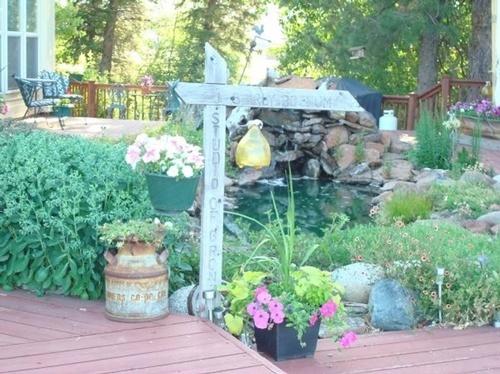 Quaint private bath w shower, private deck overlooking river with BBQ & horse facilities. Extensive western library/artifacts. 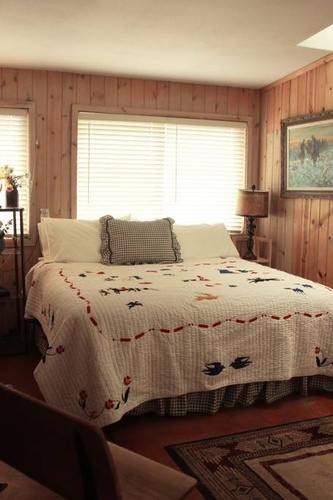 Serene, Rustic & Cozy! It is the former sculpting studio & creative space of the famed artist J. Shirly Bothum. His life size sculpture ''Tracking the Intruders'' of an Indian brave and wolf/dog is among the most popular on Main Street. Private river frontage yet is 2 minutes from Main Street & 6 minutes from the foot of Wallowa Lake. Separate City & County Lodging Tax Apply and are collected onsite. Grill on the deck overlooking the river, sip wine and gaze at the beautiful Wallowa Mountains as deer and other wildlife waltz in and out of view. There is no public transit but I offer complimentary shuttle service to and from our airport for guest with private aircraft. Seeing all of Main Street or downtown is easily a truly enjoyable walking tour. We are passionate about being a NON SMOKING FACILITY. And there is an additional $10.00 per pet. No barking or aggressive dogs will be permitted. The Bunkhouse! Is light airy haven for 1 or a couples delight. 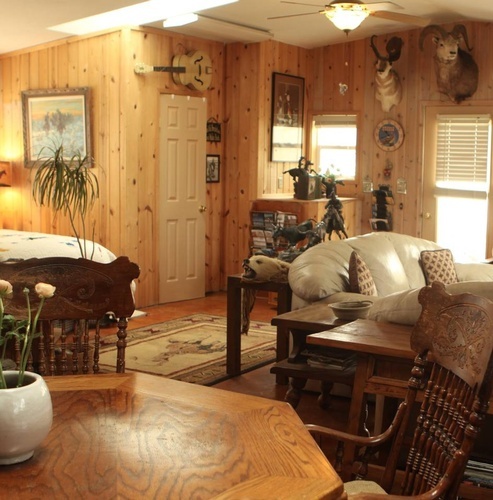 Private deck overlooking river with BBQ & horse facilities available. Serene, Rustic & Cozy! Separate City & Lodging Tax are collected onsite. This is a pet free space, has large flat screen tv and a music box for mp3, cassette, cd and vinyl. Private in room bath has a relax has relaxing rain shower. This room is pet free. From Hwy 82 turn right on Russell Lane, go ~1 mile house on left before river.